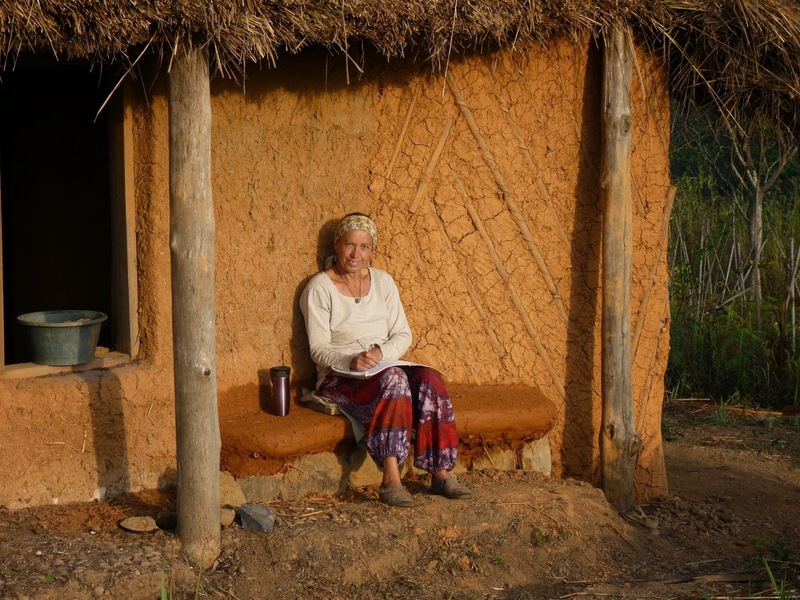 Pam's Cob House: Cob Building Workshop For Women. 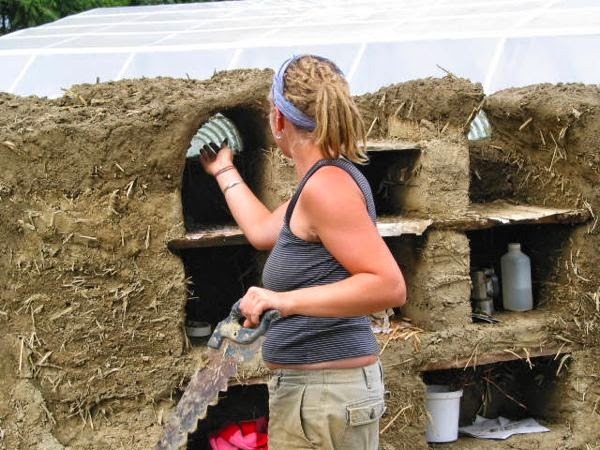 Cob Building Workshop For Women. Are you at the height of your performance and looking for a different kind of holiday? Are you done with your job and looking to re-create yourself? “Off to the beach” sounds boring and you want to be inspired? Would you like to spend a week with like-minded women? a recreational workshop for women of power. 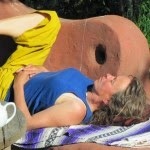 A 6-day workshop on cob building, in the height of summer, on Mayne Island, BC, in Canada. Dates July 25 – 30, 2015. This is what Elke has to say about this experience. 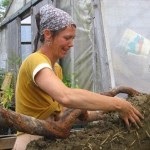 Cob building is building with Earth. Touch earth and explore your creative side! We build strength doing some foot-mixing in the beginning of the course. Later we will use pre-mixed cob to save our power for the actual building and shaping of walls and built-in elements like niches, benches or sculpture. We take time to warm up our muscles in the morning and stretch them at the end of the day. There will be tasty and energizing food to support us. Our site is situated among trees that offer nice shade for cooling breaks and when it’s time for talks. Come and meet the inspiring Elke Cole as she facilitates this workshop for women 40 and over. 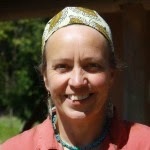 Elke Cole, is a workshop facilitator and designer who empowers women around the globe. She is a builder and architect, and has facilitated many workshops and training programs worldwide. Recently she has been working with Women in Cameroon and is leading the “Africa kitchen Revolution” project. When I was first dreaming of building a cob house, I was attracted to Mayne Island as it was the home of cob guru Pat Hennebery. He had built several cob houses there. I discovered that cob building had been established on the Island through a collaboration of Elke Cole and Pat Hennebery in the early days of cobworks. Their work with local officials opened the doors for many buildings on the coast. There are a number of cob homes on Mayne Island, including one guest cottage , which I have had the pleasure of staying in. 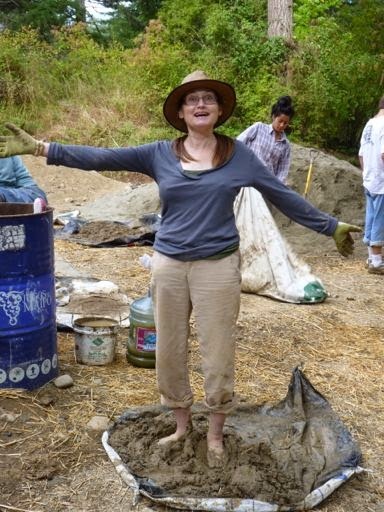 I discovered Elke was giving a "How to Design Your Natural Home" weekend workshop at OUR Eco Village on Vancouver Island and that is how I met her. I asked her to draw up the plans for my cob house design and I have been thrilled to be working with her on my dream. Mayne Island is a beautiful island, one of the Southern Gulf Islands between Vancouver, BC and Vancouver Island. 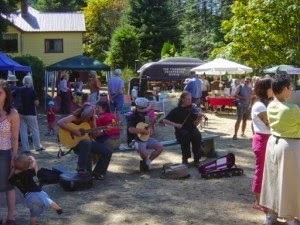 There is a great Farmers Market every Saturday, and lots of music and art to be found. So come and have some fun, learn and laugh a lot, and feel your power in the company of like minded women. There will also be lots of time to relax and the beach is only ten minutes walk away. Evenings are personal time can be spent alone or as group, depending on accommodation choices (see event website) and personal preference. Mayne Island has a range of possibilities for your personal time: from bodywork to swimming, restaurant visits or kayaking. Enjoy a Reiki session on site of visit the local Spa. We invite you to share your music or poetry in an evening circle.